Looking for best text editors on MAC OSX? 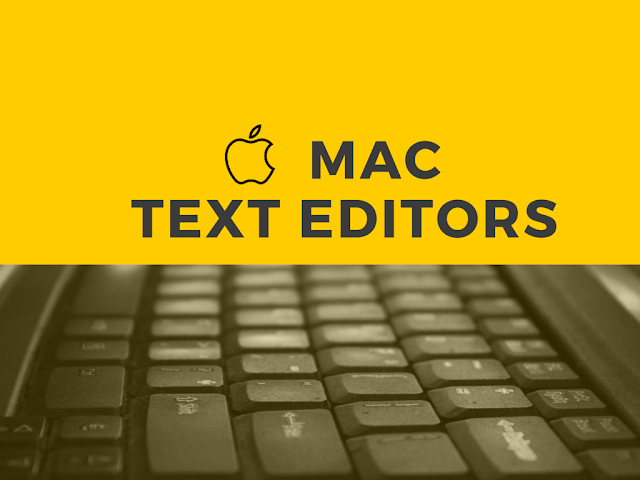 We have compiled a list of best text editing tools on MAC for you to easily do your text editing related work. Pages for Mac is great when you want to write a simple document or college essay. The biggest flaw of commonly used word processors is the fact that they are mainly focused on text and page layout. They won’t help you create a web page, edit code, perform major text transformation, or take other actions beyond the basic writing and formatting actions. If you start searching the web for the best text editors for Mac OS X, you’ll come across many free and paid alternatives. Which one should you start using? The following list of 15 top choices will help you make the decision. This is a sophisticated text editor that can be used for prose, code, and markup. The interface seems simple at first sight, but Sublime Text comes with awesome functions, such as an ability to make multiple selections and changes simultaneously. The Command Palette is full of features that you won’t use frequently: changing the syntax, sorting, and changing the indentation settings. You’ll love the Distraction Free Mode, which launches you to a full-screen environment that enables you to see nothing but your text. Although this editor has been around for over 20 years, it’s still attractive due to the constant improvements the team makes. It was initially designed as a tool that enables programmers to write code, but the interventions over the years have turned it into an extremely functional web page editor. What can you do with BBEdit 11? First of all, you’ll have complete control over text. You will also command files, folders, servers, and disks, and smoothly integrate the files into existing workflows. This product’s features have become part of the daily practice of many web and app developers. Some of the ones that are worth mentioning include: foldable code blocks, support for more than 50 languages, visual bookmarks to jump between places in a file, clipboard history, file tabs when working with projects, declarative language grammars, and more. You’ll love this part: TextMate is open source software. Thus, you lose nothing for trying it! Coda 2 is labeled as a fast, clean, and powerful text editor. Exactly what you needed, right? The developers brag about the pixel-perfect preview, and the built-in feature for opening and managing your local and remote files. The latest version is very fast and comes with valuable improvements: color-coded traditional or visual tabs, customizable column guide, vertical indentation guides, CSS overriding, local indexing, and more. This is a relatively new text editor that brings advanced editing features at your fingertips: multiple cursors, autocompletion, snippets, advanced search and replace with Regex, incremental search, smart undo-redo, full-fledged CoffeeScript-powered console, and more. This is a highly-customizable text editor that works as an interpreter for Emacs Lisp at its core. However, its text editing extensions are enough to put this software on our list. It supports complete built-in documentation, content-sensitive editing modes, mail and news reader, project planner, and full Unicode support for nearly all human languages and their scripts. The powerful Emacs text editor does have a learning curve, which is rather frustrating for beginners. Aquamacs is a user-friendly version that acts like a modern Mac application. Most programmers prefer Aquamacs over Emacs, mainly because of the greater font selection, standard Mac shortcuts, Unicode support, spell-checking feature, and the dedicated manual. This is BBEdit’s little brother. Although it is built around the same core technology, it is appropriate for Mac users who are looking for a simpler text editing and transformation tool. TextWrangler is more of a general purpose text editor, which features powerful text transforming and manipulating features, such as Perl-Compatible Regular Expression, comprehensive AppleScript support, text pattern matching, fast multi-file searching and replacing, and more. And it’s free! This is an open-source text editor that’s maintained by Adobe. It is a lightweight, but powerful program that gets new features and extensions every 3-4 weeks. As a developer, you have an idea of how you want the text editor to work, so you can accept the team’s challenge to hack on Brackets, write extensions, and help translate the software. Some of the most notable features of this text editor are Live Preview, Preprocessor Support, and Inline Editors. Textastic is based on simplicity, speed, versatility, and ease of use. It supports more than 80 source code and markup languages. You’ll certainly appreciate the support for modern Mac features (such as Auto Save and Versions).If you decide to replace your current text editor with Textastic, you can make a seamless transition thanks to its intuitive design and features. As a web designer and developer, you’ll certainly appreciate the speed you’ll gain thanks to Espresso. This text editor provides extensive language support, powerful smart snippets, and contextual completion. You will watch your web pages getting updated in real time with the Live Styling feature. Your workflow will be turbo-charged thanks to the distraction-free Zen environment of this editor. Komodo IDE is one of the most functional text editors you could use, but it costs almost $300. Komodo Edit is its free counterpart. Although it lacks some of the most attractive features of the paid version, Komodo Edit is still a very powerful text editor. Its functionalities include multi-language editor, multiple selections, track changes, markdown viewer, skins, minimap, and more. This is an impressive text editor that costs only $5. It supports multiple human languages, but it also supports syntax colors for over 110 code languages, commands, expressions, text folding, text snippets, line numbers, and much more. This is an open source text editor that’s based on Smultron. It’s very easy to use, so you’ll avoid all that frustration related to new features. It’s great for script editing, web programming, and simple writing activities. It doesn’t have rich formatting features, but it does enable you to do the work without much fuss. Do you have any other suggestions? Feel free to share! Prepared by Linda Craig, writing enthusiast and a professional editor at assignment writing service AssignmentMasters. Her passions are modern British Literature and digital education tools.